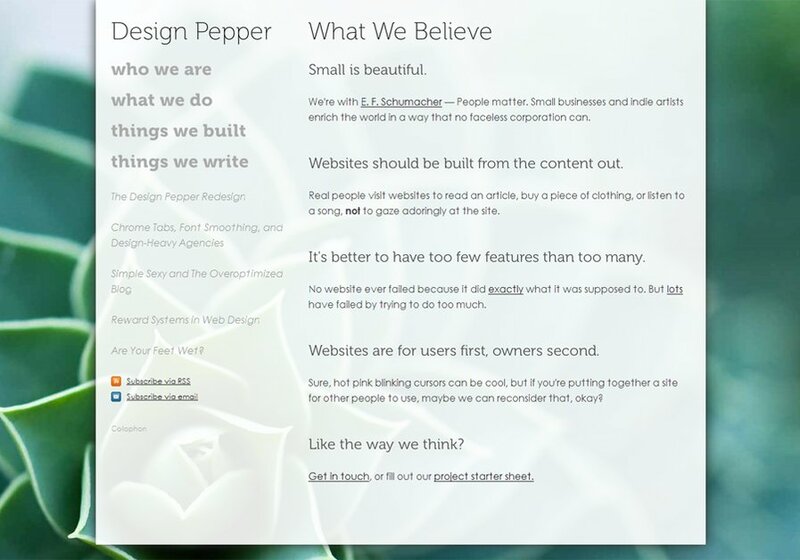 * Websites should be built from the content out. * It's better to have too few features than too many. * Websites are for users first, owners second. Like the way we think? Contact us or fill out our project starter sheet.